1. 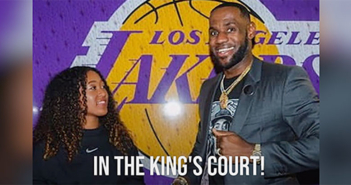 Courting other athletes! Tennis star Genie Bouchard and golfer Michelle Wie took a swing at each other's sport! 2. Captain Lou! 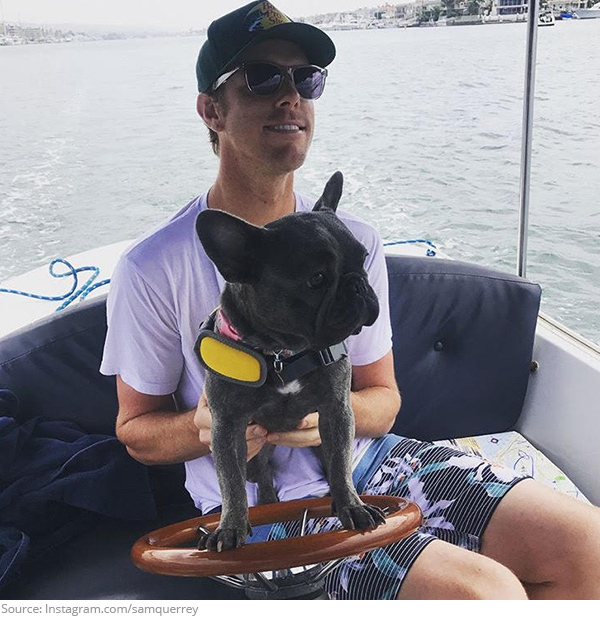 Sam Querrey knows that every good man needs a great dog to steer him in the right direction! 3. Snap, crackle and pop! Bethanie Mattek-Sands isn't letting her injury ruin her spirits. 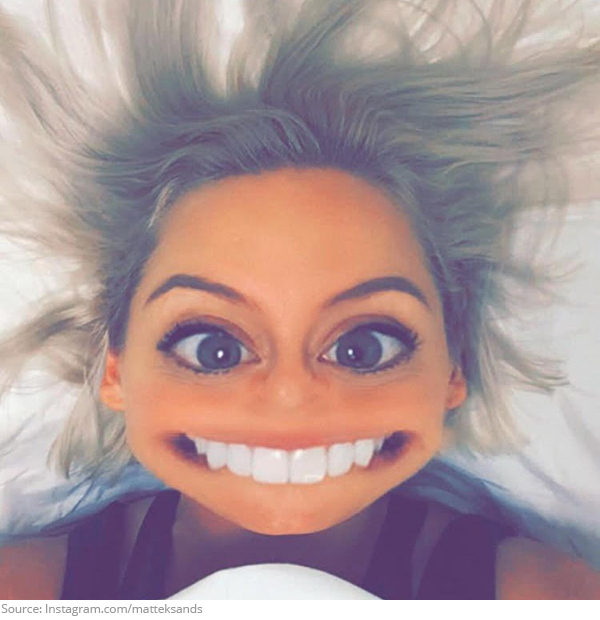 In fact the tennis star has been chatty in an unfiltered web show called In Bed with Bethanie! 4. Play that funky music white boy! 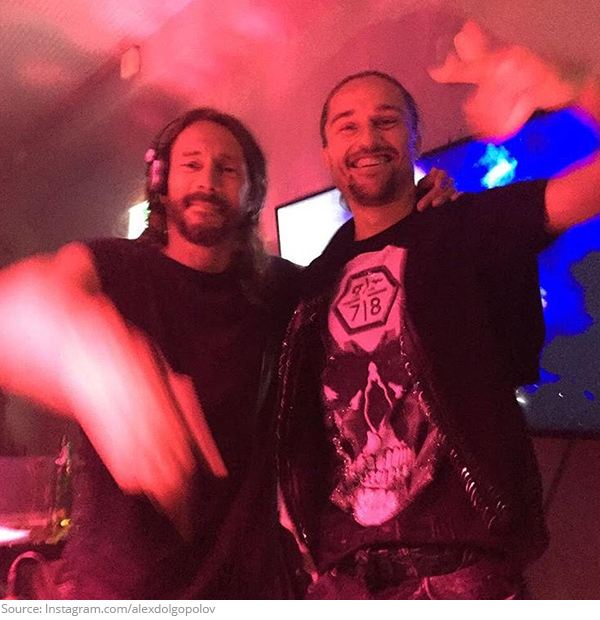 Alexander Dolgopolov mixed it up with Bob Sinclar. Can we put in a song request for Who Let the Dogs Out? 5. She fits the bill! 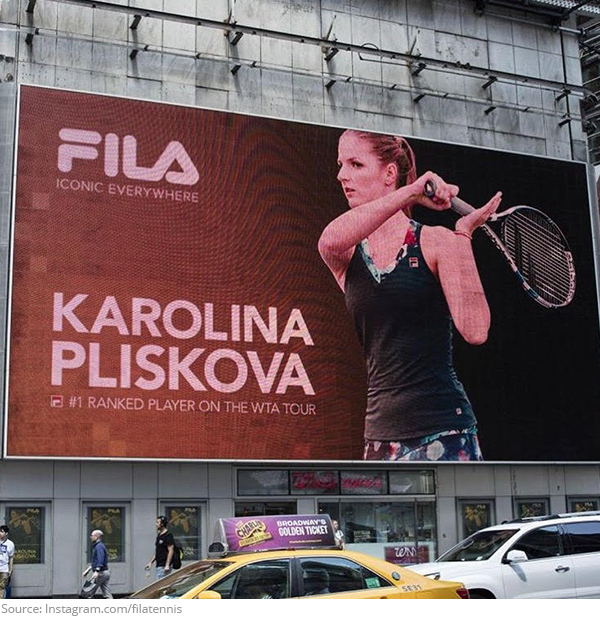 You know you've made the big time when you are featured on multiple billboard ads over New York City. Karolina Pliskova reached world number 1 in style! 6. Watch him whip, watch him nay nay! 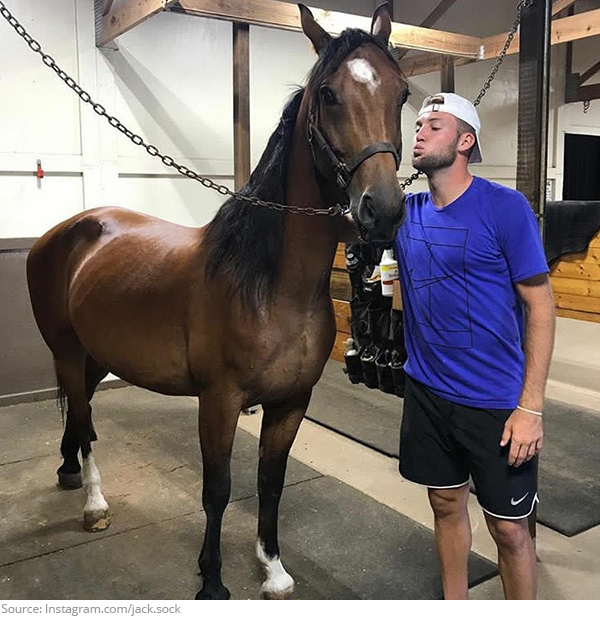 Jack Sock has been horsing around with a new friend. We hope he brought some sugar cubes to go along with all that sugar! 7. The reaction you have when a dream becomes a reality! 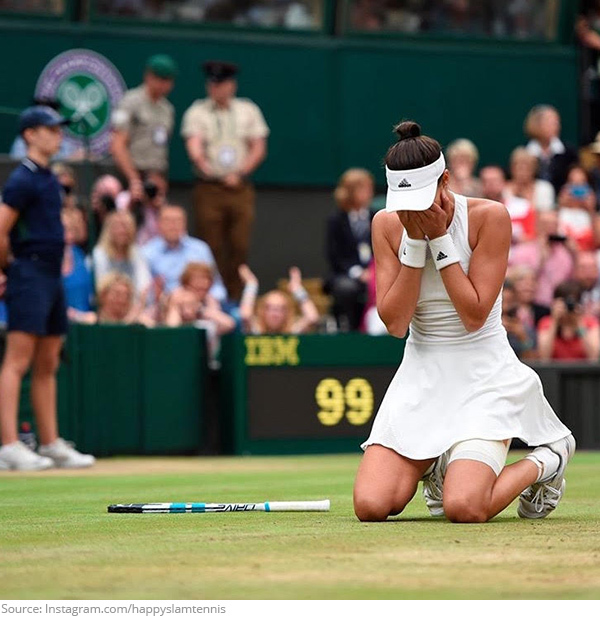 Garbine Muguruza reached for the stars and captured the Wimbledon championship! 8. Sugar, spice and everything nice! 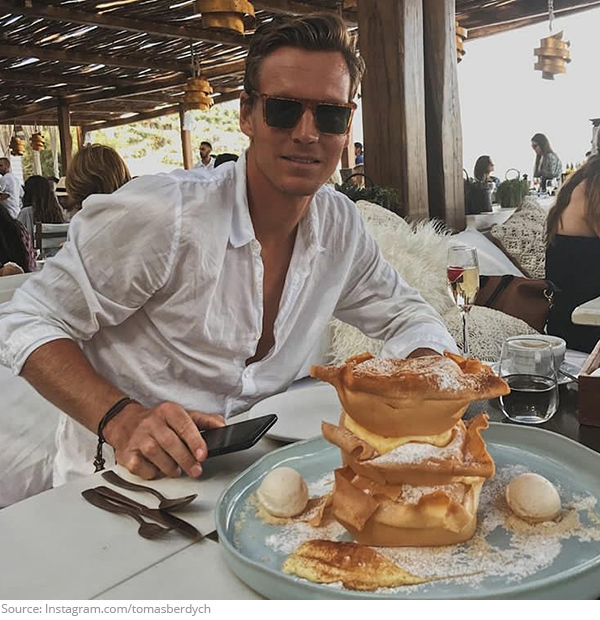 Tomas Berdych satisfied his sweet tooth with a towering dessert. Challenge accepted! 9. She works hard for the money! Just because Serena Williams is on maternity leave from tennis, doesn't mean she's taking it easy. 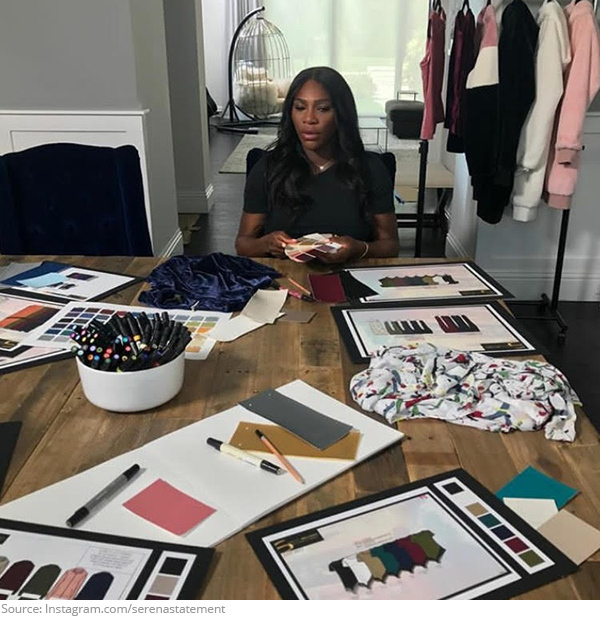 The Home Shopping Network is turning into the Home Serena Network with her upcoming collection! 10. A championship bromance! 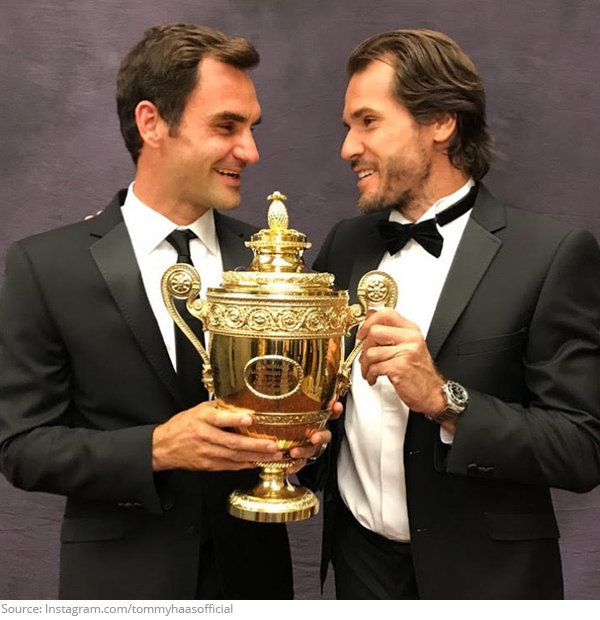 Roger Federer shares his excitement with good friend Tommy Haas by showing off his new Wimbledon hardware. Uh..Tommy..you can let go now! 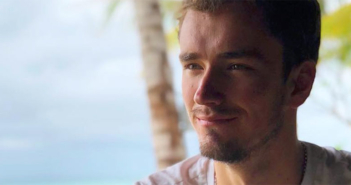 Tennis Pros are Foodies Too But Who Is the Top Chef? Tsonga, Halep, Pospisil or Venus Williams?